"There is so much in this DVD... I'm giving it a 90% (rating)!" "Anyone who performs illusions will get something out of this, it is the first time I have something like this for illusions. It is a great product, highly recommended"
"I have always admired how JC creates his magic and especially the subtleties he employs during his performance. An example of his subtleties during his performance would be when he is "panting" for breath after a magical appearance. These little things will help create better magic. 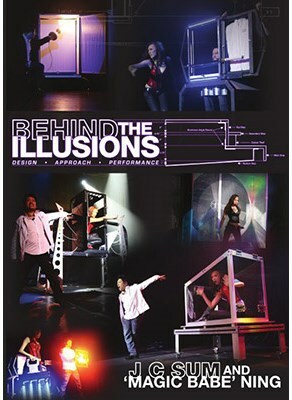 So, if you are into Illusions, you should check out this DVD, if you like it, you can even get the plans from his book. Rating 4.5/5"